A Bike Lane is defined as a portion of the roadway that has been designated by striping, signage, and pavement markings for the preferential or exclusive use of bicyclists. Bike lanes enable bicyclists to ride at their preferred speed without interference from prevailing traffic conditions and facilitate predictable behavior and movements between bicyclists and motorists. A bike lane is distinguished from a cycle track in that it has no physical barrier (bollards, medians, raised curbs, etc.) that restricts the encroachment of motorized traffic. Conventional bike lanes run curbside when no parking is present, adjacent to parked cars on the right-hand side of the street or on the left-hand side of the street in specific situations. 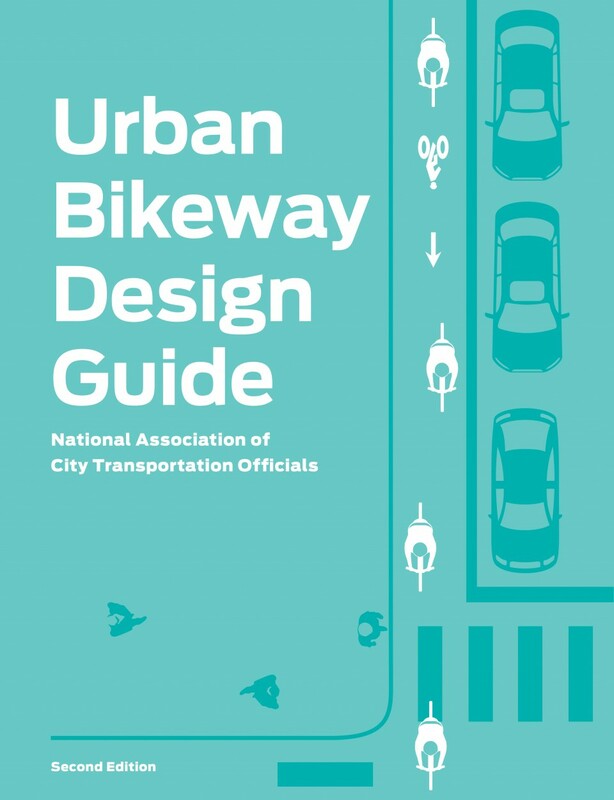 Bike lanes typically run in the same direction of traffic, though they may be configured in the contra-flow direction on low-traffic corridors necessary for the connectivity of a particular bicycle route. The configuration of a bike lane requires a thorough consideration of existing traffic levels and behaviors, adequate safety buffers to protect bicyclists from parked and moving vehicles, and enforcement to prohibit motorized vehicle encroachment and double-parking. Bike Lanes may be distinguished using color, lane markings, signage, and intersection treatments. Left-side bike lanes are conventional bike lanes placed on the left side of one-way streets or two-way median divided streets. References for Bike Lanes: 41 found. Ove Arup & Partners Ltd.. "Cycle Infrastructure Design." Department for Transport, The Stationary Office, Edinburgh, Scotland.